Days of Our Lives spoilers reveal that Rex Brady (now played by Kyle Lowder) will once again be coming to Salem. Rex will appear in early October. Mimi Lockhart (Farah Fath) will also be appearing around the same time. Fans of Days of Our Lives were excited to learn that Kyle Lowder would be returning to the show. The actor formerly played Brady Black. With Eric Martsolf happily in the role of Brady Black, it left fans wondering who Kyle would be playing. 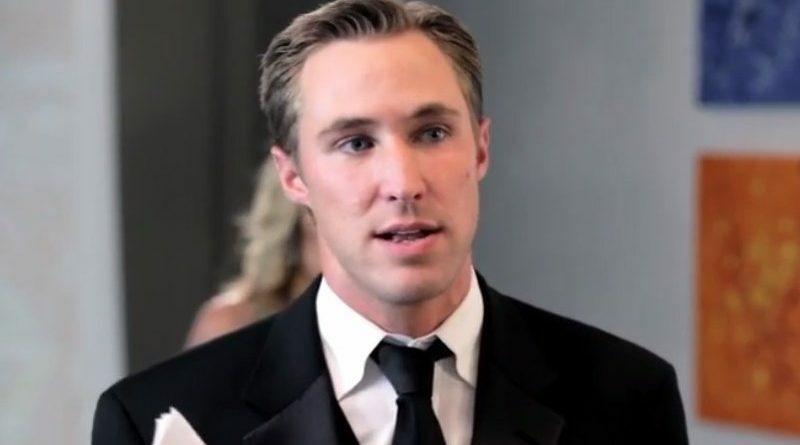 Days of Our Lives spoilers recently revealed that Kyle Lowder would be playing Rex Brady. He’s is the son of Kate Roberts (Lauren Koslow) and Roman Brady (Josh Taylor). Rex Brady left Salem after he learned Mimi had aborted their baby. Now the pair will be returning Salem. The couple left Salem separately and not on good terms. It’s been years since they left so they could’ve reconciled off-screen but it’s unlikely. A reunion is certainly not out of the question though. Days of Our Lives spoilers show that Mimi Lockhart will only be back for a handful of episodes. Rex Brady is expected to stay longer in Salem. With both characters returning to Salem around the same time it’s likely their storylines will be connected somehow. Kate only has one child left in Salem right now, Lucas Roberts (Bryan Dattilo). With Lucas soon leaving the canvas Kate will now have Rex to focus on. Kate loves to control her children’s lives. She hasn’t had that opportunity with him. She didn’t learn about him until he was older. He only stayed in Salem for a short time. Kate has years of meddling to make up for. Roman’s had his other set of twins to focus on. Eric Brady (Greg Vaughan) and Sami Brady (Alison Sweeney) will soon be on a quest for their lost soulmates. This will give Roman time to also focus on Rex. Is it possible that the return of Roman and Kate’s son might bring Kate and Roman close once again? DOOL – New Super Couple? With Rex returning it won’t take long before one of the single ladies of Salem takes an interest in him. Chloe Lane (Nadia Bjorlin) was paired with Kyle when he played DOOL’s Brady Black. The two have amazing chemistry together. Chloe will soon be single with Lucas leaving town. A Rex and Chloe pairing would drive Kate crazy. 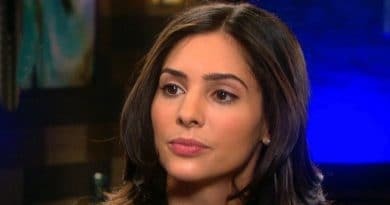 Another possible pairing for Rex could be Gabi Hernandez (Camila Banus). She’s once again single. It’s unlikely that J.J. (Casey Moss) or Eli Grant (Lamon Archey) would reunite with her. Her deception with Abigail Deveraux (Marci Miller) will likely destroy any chance that she will have a future with either man. One thing is for certain a handsome single man in Salem doesn’t stay single for long. Expect the single ladies in Salem to take an instant liking to Rex. ← Meghan Markle’s Leftist Politics Are Turning Off Prince Harry’s Rich Pals – Maybe Harry Too?